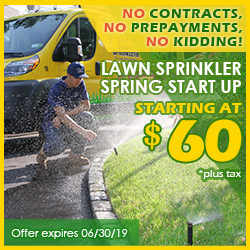 Since 1980, Pacific Lawn Sprinklers has been providing irrigation services to East Quogue and Hampton Bays in The Town Of Southampton. With Pacific's local team operating directly out of Hampton Bays, a branded 'Bright Yellow' service vehicle can be spotted up and down Montauk Highway and Sunrise Highway on a daily basis. The islands and inlets of Shinnecock Bay provide this area with a unique culture and an unmatched natural beauty. By having Pacific install, repair, and maintain your irrigation system - such beauty will automatically be delivered to your lawn, shrubs, and vegetable gardens. 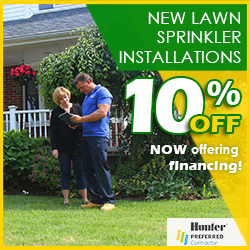 Call today and let Pacific Lawn Sprinklers handle all of your irrigation and landscape lighting needs. 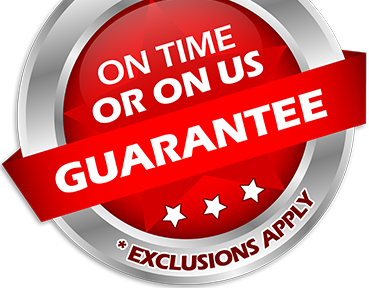 Ask about our 100% CUSTOMER SATISFACTION GUARANTEE and the exclusive “ON TIME OR ON US GUARANTEE!”. Grand estates and sparkling bays draw summer crowds that make this community one of the most vibrant in America. Whether enjoying a day at Ponquogue Beach on Dune Road, shopping on Montauk Highway, paddle boarding near Tiana Bay, or just hanging by the pool - this area has it all. It is no secret that lawn sprinkler systems in Hampton Bays and East Quogue demand exclusive attention to detail and precision. 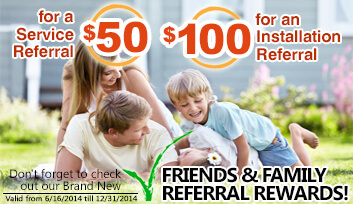 Let Pacific help you impress your neighbors and guests - a lush lawn and blossoming garden is just a phone call away. Don't forget to ask about our LED landscape lighting systems, as well as drainage and holiday design/decorating services.